On October 4, 1977, the dream of bringing sacred music and impassioned preaching to enliven parishes was born. For nearly 40 years, our ministry teams have directed extraordinary parish missions with enduring impact on the life of the parish family. 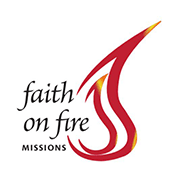 Over 600 missions in more than 95 dioceses in 49 states, Faith on Fire Missions has also presented in other countries, including Canada, the Philippines, Italy, Israel and Ireland. Tens of thousands have been touched, impassioned songs have been sung, ritual has come to life, and sacrament has been relived. Long after the missions have ended, the melodies continue to sing and the stories continue to echo within hearts of those who have come. Today, through the work of Faith on Fire Missions and International Liturgy Publications, the rekindled fire of faith continues to flame in parishes everywhere. have nurtured and challenged this ministry to continue to grow in purpose, commitment and love. Through Faith on Fire, we are proud and excited to present an expanded cadre of Mission Presenters and Ministers of Music to present an unforgettable experience of God’s presence and love for your parish family. We understand and respect the awesome gift and responsibility with which every Pastor is entrusted: to nourish, encourage and challenge the People of God within his charge and care. Through the parish missions, concerts and workshops we present, Faith on Fire Missions comes to support, amplify and to build upon the vision that belongs to your parish family. It is our honor to serve you and your pastoral team in the work of bringing your faith community to life in a new and vibrant way. A parish mission directed by Faith on Fire Missions is about the People of God in your parish experiencing the passion and fervor of our faith as expressed through sacrament, story and song -- spanning generations and centuries, including parishioners of all ages, of every economic, educational, vocational and occupational background, coming together as the empowered Body of Christ.